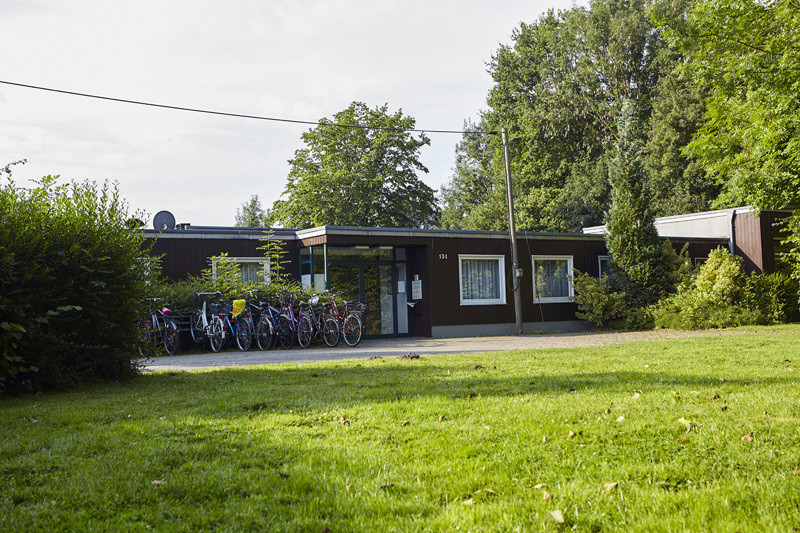 Thomas-Morus-Kolleg was constructed in 1968 as a temporary residence for novices of the nearby building Mariengrund des Schönstattordens. At the start of the 90s, it was used as a replacement for Collegium Borromaeum for candidates for the priesthood, which was undergoing renovation. The residence has been used as a student residence under church sponsorship since 1993. It has been known as Thomas-Morus-Kolleg since 1996. Thomas-Morus-Kolleg is located in the Münster-Gievenbeck district, which is approx. 5 km from Münster city centre. However, it is well connected to the university facilities in the city centre with regular bus services or a 20-minute cycle. 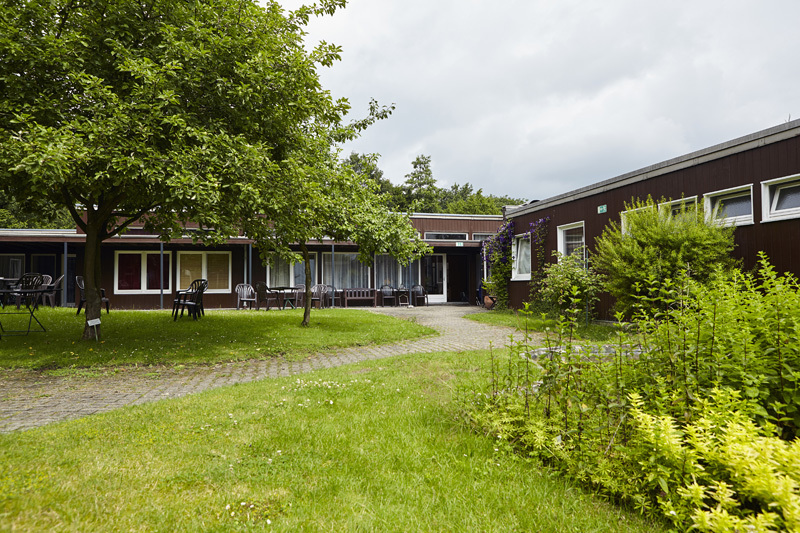 A unique feature of Thomas-Morus-Kolleg is its peaceful location and the generous outdoor areas with gardens and courtyard, which the residents really appreciate. 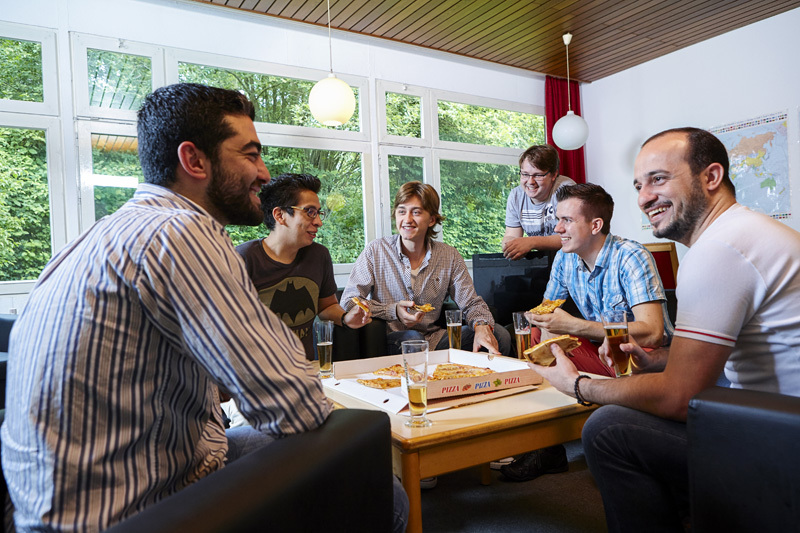 It is important to the residents that communal living is based on Christian values. Even if not all residents are Catholic or haven’t experienced Christian socialisation, the way they deal with one another is characterised by great mutual respect and the desire for a close community. Peaceful location, proximity to nature and a purposely international community. This residence is about more than just living side by side, it’s about living as a collective. 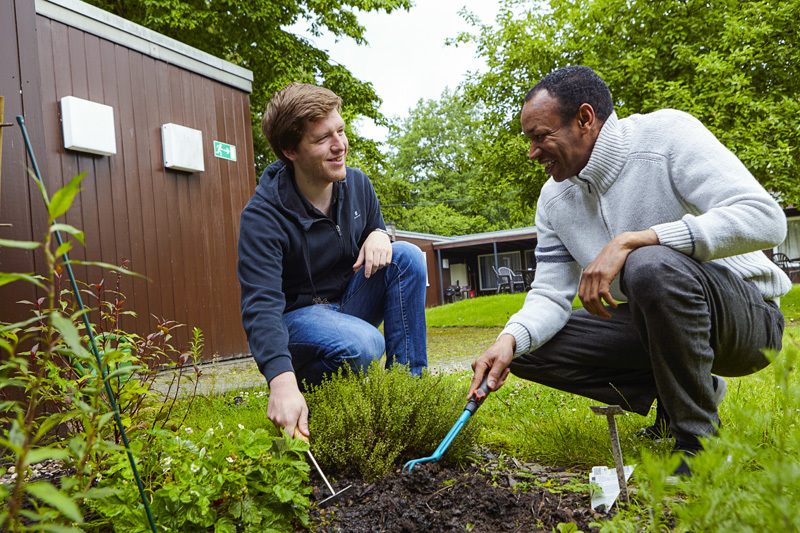 As a result, we only accept students that view communal living as enriching and are prepared to take on certain tasks that arise within a community and make communal living more attractive for everyone.